If you work at home, you need a cool and stylish office as I guess you spend much time there. 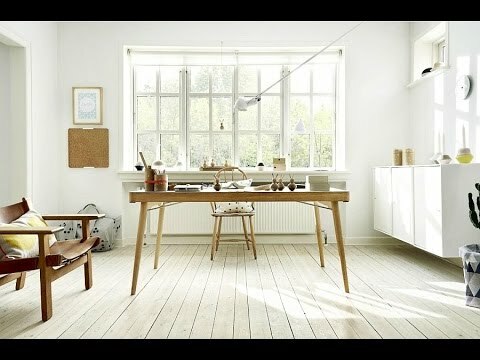 Scandinavian design is extremely popular now, so why not choose this style for your home office décor" The main idea of Scandi style is cozy minimalism in everything: from colors to accessories, so choosing black and white color scheme is a good idea and adding natural wood to the interior is rather relaxing and warm. You don?t need to clutter up the space, just choose the necessary furniture, some accessories, Your ideal Scandinavian home office is ready!